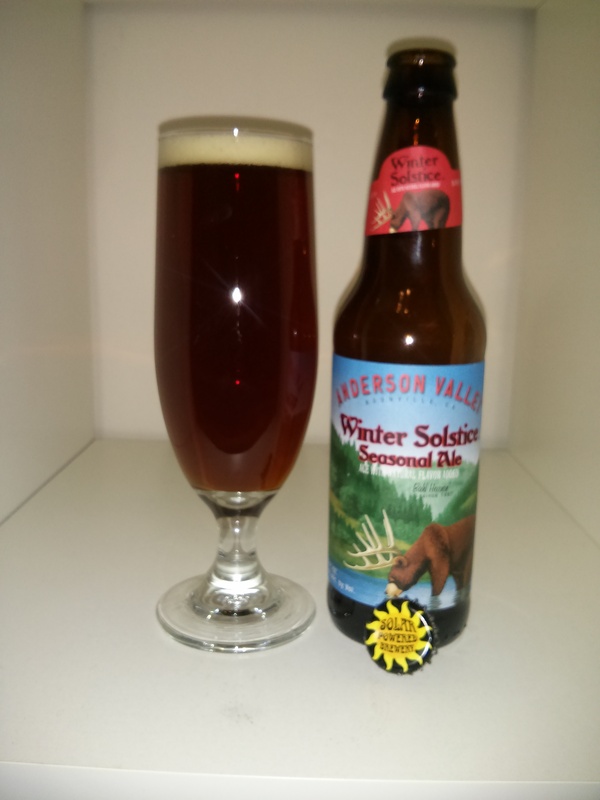 Winter Solstice Seasonal Ale by Anderson Valley is a delightful beer that I foolishly opted to drink now instead of on the actual Winter Solstice. The beer has a clear reddish amber colour and an off-white head that lasted longer than I expected. The aroma is of chocolate and spice and the flavour doesn’t disappoint. The chocolate goes all the way through and has a light caramel sweetness to back it up. With very little bitterness this beer goes down quite smoothly. Definitely the winter warmer it claims to be, I’m very happy to sip on this for a while yet. Rating: 4/5 – Initially at a 3.5 I enjoy this more with every sip. Good chocolate flavour, slight sweetness to offset any bitterness, amazing colour. Definitely recommend.